Valve held a presentation for its upcoming DOTA 2 card game spin-off Artifact yesterday, but the biggest news to come out of the conference was that Valve is getting back into the business of shipping games. During a bit about how Valve focused on developing Steam and creating new hardware, co-founder Gabe Newell stated, "Artifact is the first of several games that are going to be coming from us. So that's sort of good news. Hooray! Valve's going to start shipping games again." The main reason for the company's decision to focus on expanding Steam above creating new content was that they were worried the PC market was heading into a closed Eco-system similar to the Apple App Store. 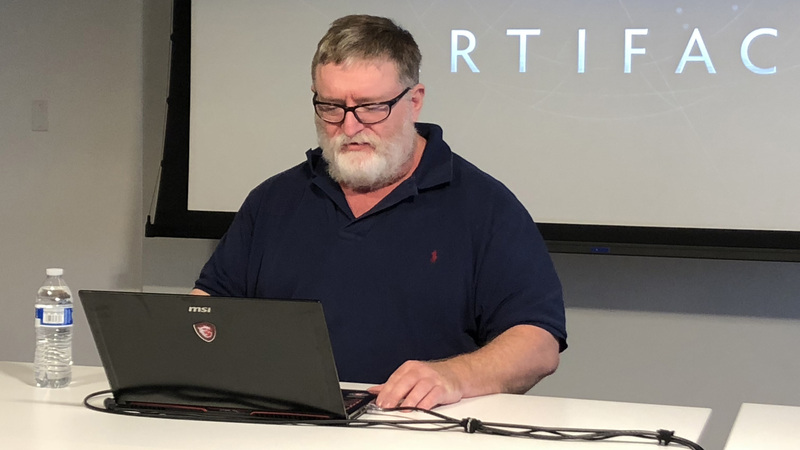 "That really started to worry us," Newell stressed, "because we thought that the strength of the PC is about its openness...So we started to make some investments to offset that." That is an understandable assumption, especially seeing as how Microsoft has been chasing Apple's business plan with Windows 10. This focus on expanding beyond just software then gave way to Valve co-developing the HTC Vive. This was spurred because, "We've always been a little bit jealous of companies like Nintendo," as Newell puts it. 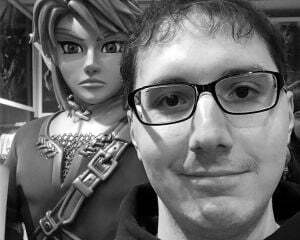 "When Miyamoto is sitting down and thinking about the next version of Zelda or Mario, he's thinking what is the controller going to look like, what sort of graphics and other capabilities. He can introduce new capabilities like motion input because he controls both of those things." Newell says we can expect the company to start creating experiences tailored to new hardware based on the knowledge they've earned creating new inputs (like the Steam controller). While I doubt this means we're any closer to Half-Life 3 coming out, Newell's words do give us some evidence that Freeman's return might be more based on a new hardware gimmick instead of just a regurgitation of past formulas. Whatever the case, Valve looks to have a busy future with Artifact and its VR games being worked on.